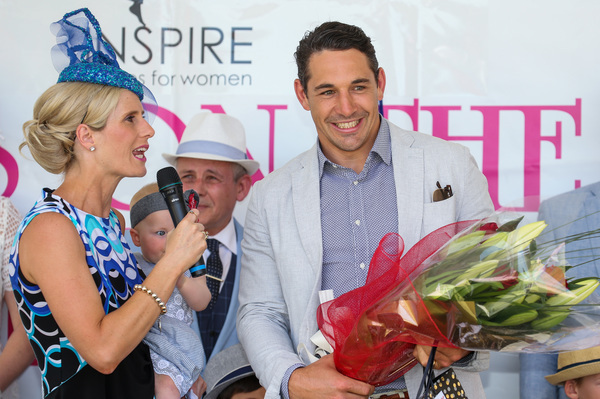 Fashions on the Field MC Casey Bruce talks to presenter of the winners Melbourne Storm's Billy Slater at last year's Pakenham Cup meeting. This year he will be in the thick of the racing action. 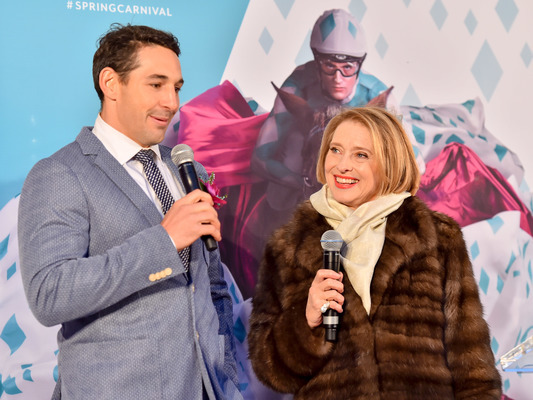 Recently retired Melbourne Storm star Billy Slater had an ambassadorial role at last year’s Sportsbet Pakenham Cup meeting, pressing the flesh on behalf of thoroughbred owners and handing out prizes to Fashions on the Field winners. This year, he could very well be in the thick of the racing action. 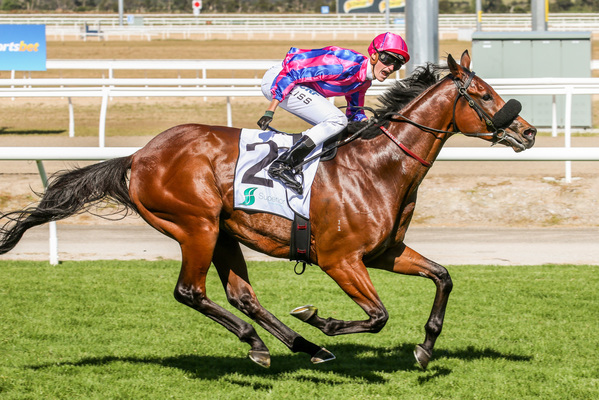 Slater is a part-owner of leading Pakenham Cup fancy Kiwia, along with his Melbourne Storm team-mate and well known business and sporting identity Gerry Ryan. Kiwia won the Ballarat Cup at his last start and was a close-up fifth in the Eclipse Stakes at Sandown before that. The five-year-old gelding is in the care of Darren Weir, who has dominated the country cups in recent years. Weir has no less than four nominations in the Pakenham Cup as he looks to continue that dominance. Slater is no stranger to racehorses, having been a track rider for glamour Sydney trainer Gai Waterhouse before starting his rugby league career. His former mentor may also have a leading contender in Saturday’s $300,000 feature race with Geelong Cup winner Runaway, who went on to run 19th behind Cross Counter in this year’s Melbourne Cup. Topping the Pakenham Cup weights are Goldolphin stayer Tally and the imported Dal Harraild, trained by the combination of Ciaron Maher and David Eustace. Tally, in the care of James Cummings, is a last start winner of the Eclipse Stakes at Sandown. Dal Harraild is coming off a narrow second to The Taj Mahal in the Sandown Classic that same day and was a narrow second to Red Alto in the Bendigo Cup before that. Former British galloper will be having his fourth start in Australia. Pilote D’essai is an interesting runner. Trained by the Hayes, Hayes Dabernig team, Pilote D’essai romped home in the 2016 Pakenham Cup, but has not troubled the judge since then. He returned to form with a game second to Kiwia in the Ballarat Cup at his last start, careering away to a big lead and being run down in the shadows of the winning post. The Cup Day card has attracted quality runners, offering total prizemoney of $1 million for the first time. Supporting races include the $100,000 Schweppes David Bourke Memorial Handicap and the $150,000 Racing.com VOBIS Gold Bullion.